The finale is here! 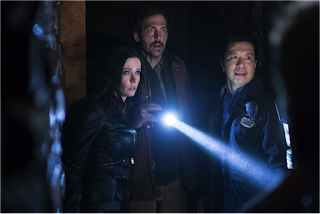 After a season full to the brim with meandering subplots that included werewolves, Elder Wands, babies, ex flames, kidnappings, overseas excursions, and name changes (to name a few), let’s see where the Grimm writers have brought us — and where they’ll leave us hanging until season six. We pick up right where the penultimate episode left us: Nick is hanging out at the Hadrian’s Wall compound with Hank, Eve, Trubel, and Meisner. They discuss what Black Claw is planning — Renard is only the first step. Positioning him as mayor of Portland will allow them to infiltrate other areas of power, slowly moving up the ranks until they’re controlling everything. Meisner tells Nick this isn’t a fight he can win alone, but that friends make him vulnerable. Super helpful, buddy. Thanks. Eve has just finished interrogating Zuri, who gave up her handler’s name — Conrad Bonaparte. Not only has Meisner already heard of this guy, but he informs the team that Bonaparte is one of the founding members of Black Claw, so if he’s here, he’s running the operation. Meanwhile, Rosalee and Monroe are watching Renard’s mayoral victory speech at home on television, furious that Adalind is standing at his side (not realizing she had no choice in the matter). Monroe gets fired up about the whole thing and looks out his window, only to find that Black Claw still has some henchmen watching their house. This infuriates him more and, despite Rosalee’s protesting, he heads out there to confront them. The Black Claw members take off in their truck when Monroe starts shouting at them, and after they’ve gone Rosalee starts shouting at Monroe. In what may be their first fight ever, she loudly reminds him that antagonizing Black Claw and getting himself killed are not exactly a solution to this situation. Once they get back inside, Rosalee starts feeling unwell. She has to sit down and says it’s just from the stress, but Monroe is worried. He feels her forehead, and declares it’s warm, but she brushes this concern aside stating that her head is warm because she’s angry. Fair enough. While Monroe was busy shouting at the shadowy men in the truck, Rosalee managed to get their license plate number, which she gives to Monroe. Chagrined, he admits he was being stupid yelling at them and is glad one of them was thinking straight. Monroe calls Hadrian’s Wall with the info and they immediately track down the address attached to the license plate. Renard and Adalind return home after his victory speech. Adalind heads upstairs to put baby Kelly to bed. She calls for Diana to head up, too. Before joining her mom, Diana catches Renard and Rachel Wood sharing a romantic look in the foyer, and gives them a deadly look of her own. Seriously, Rachel, you might want to give up on the whole idea of a relationship with Renard now that his Hexenbiest daughter is in the picture, because something tells me she has no qualms with killing you slowly and painfully. The girl wants her parents back together and you are getting in the way of that. 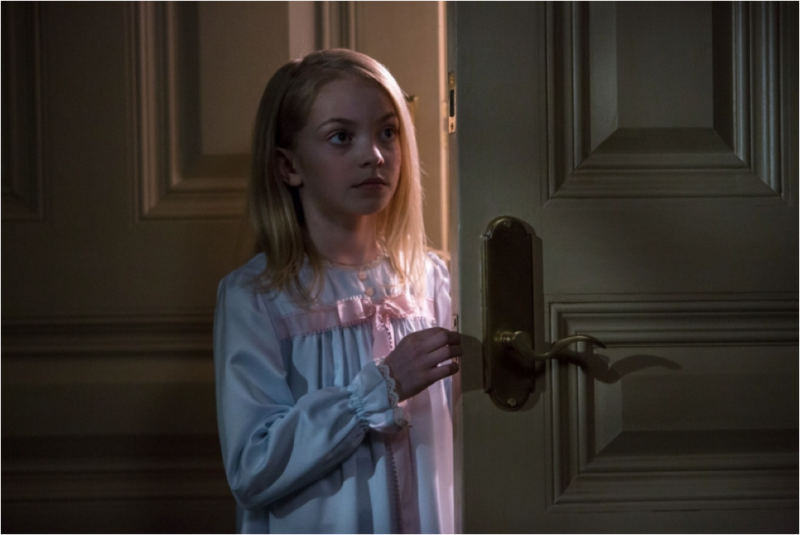 After Adalind puts Diana in bed, she goes to have a conversation with Renard. Unbeknownst to them, however, Diana is working her creepy purple-eyed powers on two doll replicas of Adalind and Renard. She forced them to hold hands in the last episode, but now she’s taking it up a notch. As Diana has her dolls kiss, Renard and Adalind start making out. Unfortunately for Diana, Adalind is a Hexenbiest too and realizes what Diana’s doing. She wrenches herself away from Renard, who’s confused and disappointed. He really thought Adalind was just finally coming around to making their fake relationship real. Adalind has to remind him again that that is never going to happen, and any romantic signs on her part are solely the work of their conniving and powerful daughter. 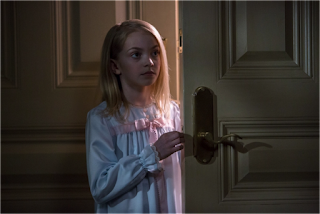 After Renard storms off, Adalind goes to have a talk with her daughter, who she finds wide awake, sitting up in bed. Adalind finds the dolls and explains to Diana that she can’t force mommy and daddy to be together. Diana admits that she doesn’t like Rachel Wood because “she likes daddy.” Adalind tells Diana she doesn’t need to worry about Rachel. Something tells me Diana remains unconvinced. Meanwhile, Renard has gone over to Rachel’s house to uh... satisfy his needs. After they’ve finished, Rachel tells him they won’t be able to see each other anymore. Renard protests, saying they can still have their relationship, even if in public he has to pretend to be one big, happy family with Adalind. But Rachel says no — Black Claw believes in real family values and wants Adalind and him to be a real family, and she knows she’s getting in the way of that. When Renard tries to protest again, Rachel tells him to get out. Poor Renard. His fake wife doesn’t want him and now his mistress has broken up with him. What’s a guy to do? The next morning, Bonaparte has a pointed conversation with Adalind. He tells her she needs to try harder to be happy with Renard. She says she is trying, but he tells her she better try harder or things will get painful for both her and her children. To prove his point, he grabs her hands, woges into one extremely creepy skeletal looking wesen, and turns her to stone. While she’s in her stone-like state, he explains that he means business and she needs to fall in line. Once he’s turned her back to normal, he produces a gigantic wedding ring which he slides onto her hand. He explains that if she removes the ring, it will be extremely painful for her children. Adalind says she understands. Dispatch calls Hank about a crime scene at a local residence — his residence, to be precise. He and Nick leave the rest of the team at Hadrian’s Wall and head over to find two dead bodies at Hank’s house that were definitely not there when he left. Turns out these are the two Black Claw members that were following Nick the other night, and that Nick killed. Hank’s clearly being set up but the detectives running the case aren’t buying his innocence. These two detectives are from the “north precinct” and claim they got a 911 call from Hank’s long-time neighbor, the elderly Mrs. Miller, who heard gunshots and positively identified Hank fleeing the scene hours before. Nick tells them this isn’t possible; Hank was with him all evening, but they don’t listen, and immediately take Hank’s gun and badge and put him in the backseat of their car. They head off, presumably back to their precinct to question Hank, leaving Nick there to figure out what just happened. Personally, if I were Nick, I would have been asking a whole lot more questions about two detectives we’ve never seen before from a neighboring precinct we’ve never heard of. While Nick heads to his precinct to find out more information, the two mysterious “detectives” drive Hank to an abandoned part of the woods and threaten him. They are, of course, Black Claw agents. Hank puts up a valiant fight but they’re Wesen and he really doesn’t stand a chance. They knock him out and take him to a house, where they discuss among themselves how they won’t need him alive for much longer. Nick and Wu pay a visit to Mrs. Miller’s house to find out why she called 911 and ID’d Hank when he was nowhere near the crime scene. Unfortunately, Mrs. Miller isn’t there, but there are signs of a struggle. Next, Nick heads over to the north precinct to find his partner and talk to these two detectives. What he finds instead is a precinct full of Wesen police officers who have absolutely no interest in helping him. Nick gets back to his precinct, where Wu informs him that he’s been through all the 911 calls from the night before, and Mrs. Miller never made one. Furthermore, the detectives never filed a report about the crime or booked Hank, so whatever they’re doing is completely off the books. Nick is still holding Rosalee’s creepy ex-boyfriend, Tony, in custody and at this point he’s their only hope for finding out where Black Claw might be holding Hank. Nick hatches a plan — Rosalee will come in and identify Tony as the guy who attacked her and tried to extort money from her a couple months ago, and then Monroe will come in and threaten to kill Tony for hurting his wife. Not the best plan Nick has ever come up with, but it will have to do. Fortunately for them, it works. They get an address out of Tony, which just happens to be the same address Hadrian’s Wall got from the license plate Monroe called in. Nick gets permission from Meisner to take Trubel and Eve with him to check out the address. Eve decides to rock a platinum blonde wig for the occasion and it practically glows in the dark. Why, we can only speculate. They easily take down the two Wesen detectives guarding Hank. It all seems a little too easy and that’s when they realize they’ve been set up. Hank’s kidnapping was just a diversion to lure them all away from Hadrian’s Wall, which is currently under siege. Black Claw makes quick work of destroying Hadrian’s Wall, and only Meisner is left standing. Renard walks in and tries to recruit Meisner, who reminds him that Black Claw only takes Wesen and he’s human – not that he would ever accept the offer anyway. Renard says they would make an exception for him, but just then Bonaparte arrives, too, and says there are no exceptions. Bonaparte begins killing Mesiner in a slow and excruciating way. Renard tells Bonaparte that’s enough and yells at him to stop but he won’t. Finally, Renard shoots Meisner so he won’t have to suffer any longer. Bonaparte tells Renard his compassion is weakness and walks out. As much as Renard may long for power, he and Meisner were once friends, and seeing his new boss murder his old friend is not sitting well with him. Nick, Hank, Eve and Trubel arrive back at Hadrian’s Wall too late. They realize that Black Claw must have found them through Zuri. Black Claw must have been watching when they brought Zuri there and were just biding their time until they could lure Eve away from the compound and attack. While the team mourns Meisner’s death and the fall of Hadrian’s Wall, they realize that they are all that’s left to go after Portland’s Black Claw syndicate. Back at the mansion, Bonaparte has a conversation with Rachel. He encourages her to spend more time with Diana and befriend her. Unfortunately for Rachel, this little heart-to-heart is too little, too late. Diana is listening in from the staircase, and the last thing she wants is to be friends with her father’s mistress. When Rachel heads to bed that night, Diana does her little teleporting trick and suffocates Rachel in her own bedsheets. She then proudly tells Adalind what she’s done, exclaiming that now Rachel can’t take daddy away. Meanwhile, back at the precinct, Renard is strutting around like a peacock, talking to reporters and getting standing ovations from his employees. Nick arrives back after finding Meisner’s body, and completely loses it. He attacks Renard in his office and they have it out. I guess this gives Renard a good excuse to charge the city for any office redecorating he was already planning on. Nick loses the fight when Renard throws him through a window and demands his arrest. Hank and Wu have to stand by and do nothing or risk being thrown in a cell with him. When Nick gets to the cell, he discovers that Black Claw’s mark has already been left on the wall for him. He tells Hank and Wu to gather the whole team at his house and move forward without him. Back at Monroe’s, Rosalee has some exciting news to share: she’s pregnant. That’s why she’s been feeling sick lately. But before she can tell Monroe, he sees that the Black Claw agents are back to staking out their house. He flips out and is about to go attack them when they hear someone breaking in through the back door. Fortunately, it’s just Trubel, who has come to tell them about Nick’s plan and Meisner’s death. While they chat, Eve takes care of the Black Claw agents by burning them from the inside out and making them explode. Gruesome, but effective. There’s no time for Rosalee to share the news now – they have an evil organization to take down. They all convene at Nick’s loft to discuss next steps. Eve, Hank, and Trubel will try to break Nick out while Monroe and Rosalee head back to the spice shop to try and hide all the Grimm books and weapons, including the Grimm genealogy book that lists all of the Grimms who have ever lived and their family lines. Meanwhile, the precinct is being slammed with 911 calls that have completely cleared the precinct of all officers except Wu and a couple desk cops. Wu calls Hank to give him an update on the situation. Clearly Black Claw is trying to clear out the place so they can swoop in and grab Nick. Just as Wu is about to lock down the precinct, he sees that Adalind is calling Nick’s cell phone, which is still sitting on his desk. Wu picks it up and Adalind asks Wu to get a message to Nick – that she loves him and that Kelly is doing fine. But just as Adalind is about to say more, Renard walks into her bedroom and she quickly ends the call. Renard has just come from Rachel’s house, where he discovered her suffocated to death. At first he suspected Adalind, but Bonaparte tells him Adalind doesn’t care enough about him to kill his mistress, and that the most likely culprit is Diana. Renard tells Adalind that they need to have a conversation with their daughter about not killing people. The Wesen officers from the north precinct arrive to take Nick. From the looks of it, they sent the whole squad down to transport him. Nick cooperates, but Wu isn’t about to let them leave without a fight. He tells them to let Nick go and when the wesen cops woge, so does Wu, who makes quick work of killing two of them before Hank arrives. Hank is able to calm Wu down and get him to un-woge. The rest of the Wesen cops escaped with Nick, who is now in the north precinct surrounded by evil Wesen and face-to-face with Bonaparte. Bonaparte tells Nick he wants the Grimm genealogy book. They’ve tracked it from Prague to Portland and he knows it’s in Nick’s possession. After playing some serious mind games with Nick, making him hallucinate about Adalind and Kelly, Bonaparte tells Nick that if he ever wants to see Kelly again he will tell him where the book is. Before Nick can answer, Eve, Trubel, and Hank arrive to save the day. Bonaparte takes off but Eve follows him and they have the epic showdown we all knew was coming. Unfortunately, Eve loses her first battle ever when he causes a huge shard of glass to imbed itself in her stomach. Bonaparte flees as Nick and Trubel rush to Eve’s aid. She confirms that Bonaparte is a Zauberbiest, which is probably the only wesen in the world who could have taken her down. Back at the mansion, Adalind wakes up in pain. Her psychic link to Eve is telling her that Eve is dying. Just then, Bonaparte arrives back at the mansion and tortures Adalind until she finally gives up Nick’s address, which is something she’d been successfully resisting giving him for several episodes now. “They all die tonight,” Bonaparte tells Renard and Adalind as he walks back out. Back at the spice shop, Rosalee and Monroe have just finished hiding all the books and weapons, including the genealogy book Bonaparte is so desperate to have, in the old sewer line in the shop basement. Hiding everything was their only choice — trying to get the books out with Black Claw always watching would have been more of a risk. Now their only hope is that Black Claw won’t think to look in a musty sewer line for 800-year-old books. Trubel arrives to get Monroe and Rosalee to safety and they all head back to Nick’s loft, where Nick and Hank are trying to save Eve. Nick heads down into the cave beneath his loft to get the Elder Wand, knowing it’s probably Eve’s only shot at survival. He lays the wand on her stomach where the puncture wound is. It does the trick and heals her, but then she woges, has a seizure, un-woges, and passes out. They’re not sure what happened but she’s definitely down for the count. 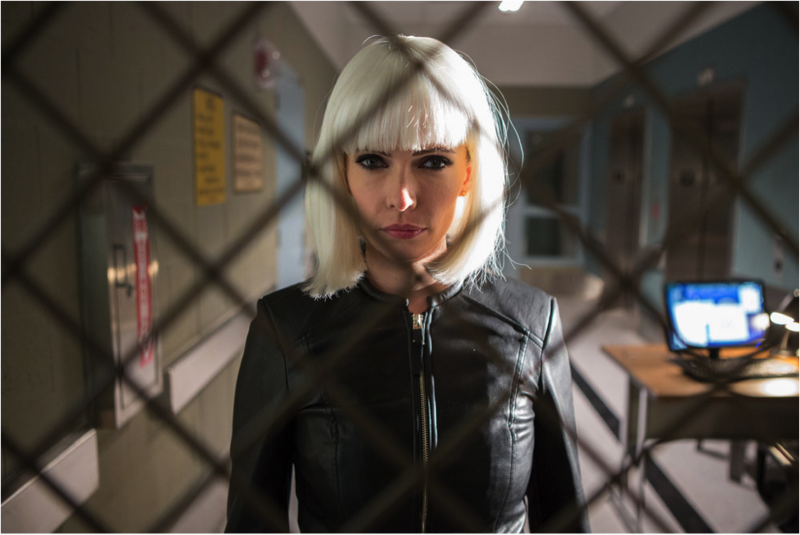 Just then, Adalind manages to get a message to Nick and the team through Diana. Using her teleportation powers, Diana tells the team that Bonaparte knows where they are and is coming for them. The 15 seconds or so head’s up this gives them is just enough to lock themselves in the loft. Black Claw has already surrounded the building. Nick tells the team to get down in the cave tunnels. Just as he’s putting Eve down the tunnel, she comes to. Only she’s not Eve anymore. She’s Juliette. It seems the Elder Wand did more than just heal her fatal wound. It “cured” her of her Hexenbiest-ness, too. But there’s no time to dwell on that now, because Black Claw is breaking in. So, Nick locks the team down in the tunnels and faces off with Black Claw alone. Always trying to be a hero. Nick takes on a dozen or so Black Claw agents, taking them all down until one of the north precinct Wesen cops shoots him in the back. Nick goes down, but manages to throw a knife straight through the Wesen’s eye socket as he does. The gunshot to the back doesn’t seem to be bothering him too much, because he takes down another couple Wesen before one of the other cops shoots him several times in the chest. But even that isn’t keeping him down. The Wesen cop has just enough time to call Bonaparte to tell him it’s finished before Nick is back on his feet and kills him. I guess it’s a good thing Nick stuck the Elder Wand in his jacket pocket after healing Eve. Meanwhile, down in the tunnels, the team splits up to search for an exit. Rosalee and Monroe take off but only find a dead end. Rosalee finally has her opportunity to tell Monroe about her pregnancy, which he is thrilled about. Did we ever think he’d have any other reaction? Back upstairs, Nick looks at the massacre around him. He pulls the Elder Wand out to examine it. It still just looks like an ancient stick, but clearly it saved his life multiple times tonight. Just then, Bonaparte and Renard arrive. Nick quickly hides the Elder Wand. Bonaparte gets to work choking Nick to death, but before he can finish the job, Renard stabs Bonaparte with a sword. Or, to be more accurate, Diana causes Renard to stab Bonaparte with a sword. She wasn’t happy with Bonaparte for his earlier torture of Adalind. As Bonaparte falls, Renard and Nick are left face-to-face, Renard holding a giant sword and looking very confused about what just happened. Nick is a little confused too, as he’s completely in the dark about the extent of Diana’s powers. And that’s where the Grimm writers leave us – a confused Renard holding a sword and a confused Nick with a pocketed Elder Wand. The end. The two-hour finale was certainly entertaining, but I feel like we were just left with more questions than answers after all of that. With Bonaparte out of the way, what happens now? I think Renard technically just became the leader of Black Claw. He and Nick are still standing in Nick’s apartment, Renard holding that giant sword and Diana possibly still controlling him. And we know Diana wants more than anything for her parents to be together, and Nick is a complication to that. Will Diana use Renard to try and kill Nick, too? Will Hank, Wu, Rosalee, Monroe, Eve/Juliette, and Trubel ever find a way out of the tunnels or do they just need to give up and start a new life down there as cave people? Is Eve truly back to being Juliette now, and does that mean she’s also back to being useless and kind of whiny? And will anyone ever find a cure for Wu’s werewolf virus? So many questions. But it looks like we’re going to have to wait until the season six premiere to get any answers.